Dr Banga is practicing Veterinary Medicine in Texas, USA. He has passion for treating and caring the sick animals with special interest in Small Animal Medicine. He has worked and volunteered at different levels to help alleviate the pain of our four legged friends. He volunteered wholeheartedly at Grenada SPCA for the elective and non-elective surgeries whenever time permitted. 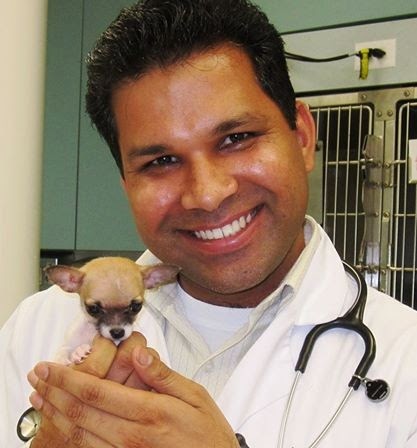 Dr Banga has also prepared many websites for veterinary professionals and pet lovers. Dr Banga has worked as Assistant Professor and Assistant Dean of Students at School of Veterinary Medicine, St. George's University, Grenada. He has more then 10 years of Teaching and Research Experience at academic institutes of different countries. He got several awards for Teaching and Research including Carl Norden-Pfizer Distinguished Teaching Award and Banfield Golden Apple Award for Excellence in Teaching.